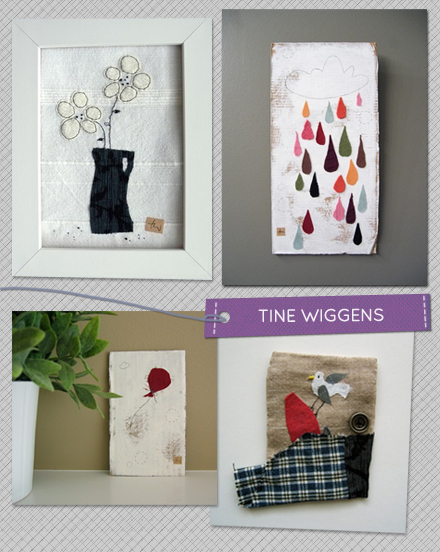 I fell in love with the work of Tine Wiggens this weekend, she creates the sweetest textile pictures and mini art quilts for the home. Oh my.....me too! I am now in love with that gorgeous cloud and raindrop one! Thank you for the introduction hun!